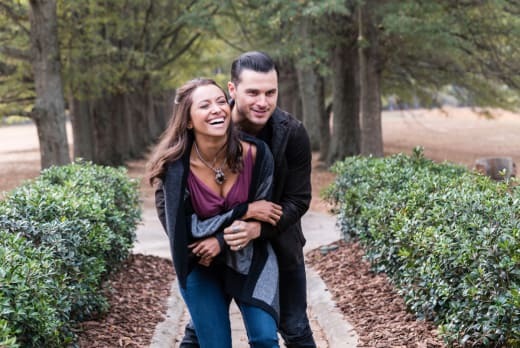 On The Vampire Diaries Season 8 Episode 11 the couple most deserving of a happy ending had that robbed from them. 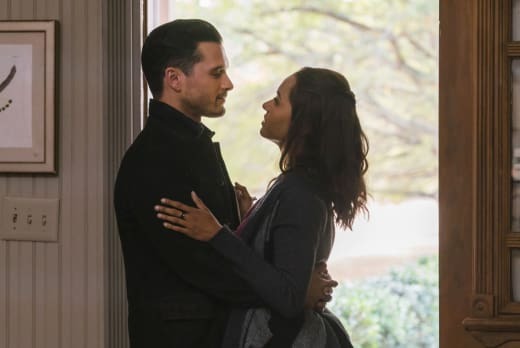 Throughout the last eight seasons, Bonnie has practically put her life on hold to do whatever she could to save her friends from whatever evil was lurking in the shadows. 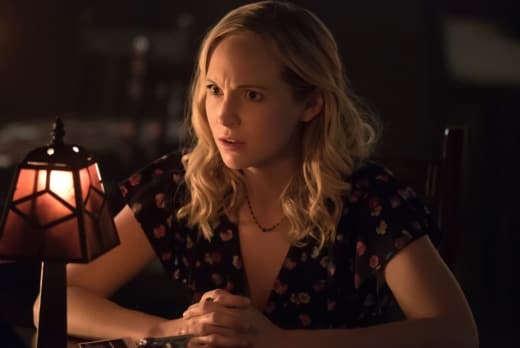 Everyone who gets close to her seems to die, and sadly, Enzo suffered a horrible death that served as one of the most upsetting of the entire series. Taking the cure would have been a beautiful move for Enzo. Seriously, Bonnie and Enzo did not owe their friends anything. They've been through so much that the mere thought of a happy ending for them was the least the writers could give them. Yes, Stefan was under strict orders from Cade, but much like Damon, I don't think he's redeemable. How many people are going to have to die before the series is over? 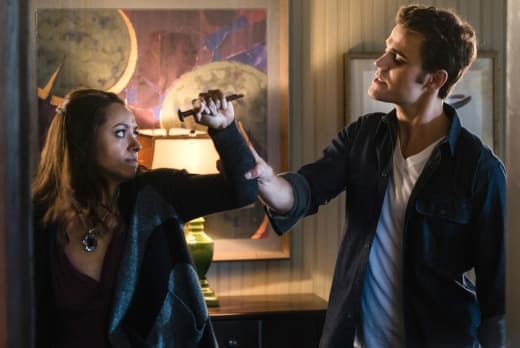 Hopefully, Bonnie uses her powers and sends Stefan to hell. 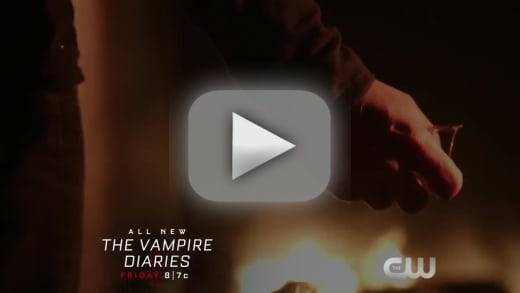 I understand Cade is really the one to blame in all of this, but I just can't get that image of Stefan with Enzo's heart in his hand out of my mind. Here I was, asking Michael Malarkey just yesterday if Enzo deserved a happy ending, and now, the character is dead. He deserved better. Bonnie forcing the cure into Stefan's blood was a bold move. She lashed out. That's what happens when the love of your life is taken from you in an instant from someone you trust. Granted, anyone being controlled by the devil should probably get a free pass, but Bonnie will not see it like that. The apparent return of her powers was clearly damage control by someone at the wheel who realized Bonnie losing at love again might not go over so well. It probably went something like this in the writers' room: Hey, so we're going to kill of Enzo, but it's fine because we're giving Bonnie her powers back. She'll cope. Um, no, that's not how it works. There's going to be hell to pay. Bonnie's going to go after everyone involved. Hopefully, she doesn't turn into Dark Willow from Buffy the Vampire Slayer. On a show that seems to have no qualms bringing people back from the dead, there better be some way to bring Enzo back to live a happy life with Bonnie. 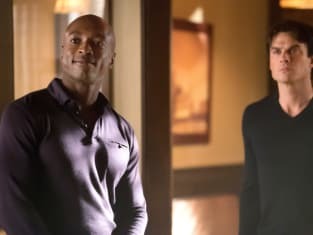 When Cade appeared earlier in the episode, it was obvious he wanted the brothers to be against each other. There's nothing he likes more than having those Salvatore boys at odds. Damon and Caroline brainstorming ideas to take Cade down was nice and all, but there was no way they were going to be able to take him down so quickly. There's a decent chance Cade will be the final villain on the series, so the stakes had to be raised. Damon discovering that Stefan was given the same ultimatum from Cade was another standout moment. Damon said Caroline was not on the menu, but little did he know that Stefan had chosen to murder Elena and end all of the drama once and for all. You could tell Damon felt betrayed, but was worrying at the same time because he was scared of losing her forever. When he arrives at that safe house, he's going to feel really awful for Bonnie. How will he react to Bonnie giving Stefan the cure? If The The vampire Diaries is laying the groundwork for a Stelena ending, I'm out. Well, the show is almost out, but I'll never speak of it again. So there. Aside from all of that tragedy, I really enjoyed the scenes with Matt and Caroline. Matt only sees the pain the supernatural brings to Mystic Falls, so the way he feels is understandable. However, Caroline being called "the darkness" was out of order. Yes, we get it, Matt, you're the goody two-shoes of Mystic Falls. Now, shut up and go ring the bell if you feel that strongly about it. "You Made a Choice to Be Good" was a solid episode of this CW series. With the end fast approaching, it's scary to imagine just how much worse things are going to get. Does anyone else just want to, like, mute Cade? He's so wicked and really needs to die. Dorian is getting more interesting, but I thought for sure that he was going to be one of the casualties. Bonnie and Enzo doing a bucket list foreshadowed the end of their happiness. How will Matt react to having more than one human in his close friend circle? Alaric needs to get back to Mystic Falls and find a way to stop this mess. Remember you can watch The Vampire Diaries online right here on TV Fanatic. Get caught up now. Over to you, The Vampire Diaries fanatics. Are you annoyed that Enzo was killed off so close to the end? 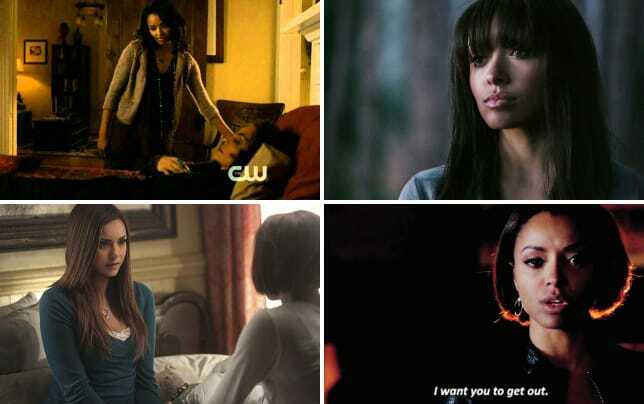 Did Bonnie really get her magic back? What will become of Stefan? Note: The Vampire Diaries Season 8 Episode 12 airs February 10 on The CW.